I discovered my passion for hunting as a young boy while helping my uncle set up goose spreads along the coast for clients. I was the workhorse and I loved it. 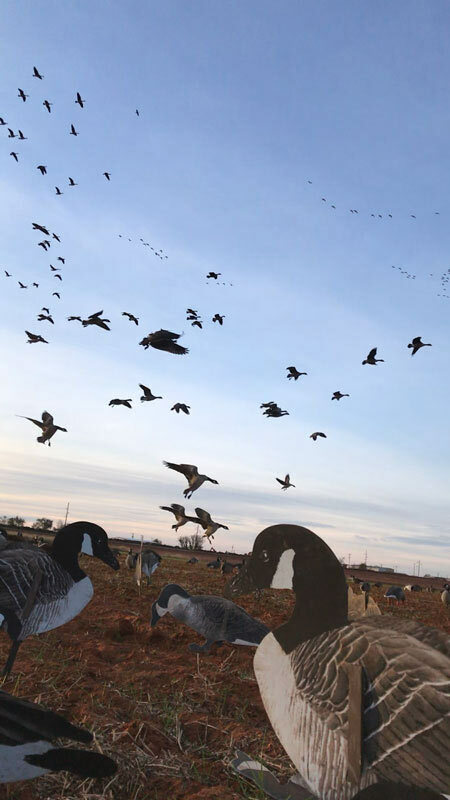 Due to my many hours of being the workhorse, I learned at a young age how to set up spreads and how to productively kill geese. From that point, it was game on as my passion for the sport had grown to where I was more than just a dedicated hunter and fisherman. I moved to Lubbock Texas at the age of 18 to attend Texas Tech. I was excited to come to West Texas but had no hunting or fishing connections in the area. I arrived in Lubbock wondering what the heck I was going to do for the next few years. There were dirt fields in every direction which appeared to not have any game to hunt. It was very different than the hill country where I grew up. We had a ranch about 3 hours away so I knew I could always get away and travel south to hunt down there. At this point, I had been introduced to new people and hunting opportunities around the area. Little did I know, I had arrived at a hunter’s paradise! Within an hour from Lubbock we have monster mule deer, free ranging monster whitetail deer, incredible dove hunting, tons of geese, hundreds of cranes, ducks, pheasants, quail, pronghorn, hogs, and the list continues. School started for me in late August, but I was more focused on acquiring dove hunting spots. A great friend of mine had a large farm out West of town with more dove than I had seen since hunting in Mexico. I had a great job in high school cutting cedar at the ranch and helping my father manage his properties, so finding a job to make money had previously not been an issue. Coming to College with bills, rent, books, and everything else with no job was a change for me so my mind was soon focused on making money. My good friend and I decided to pull the trigger and put an advertisement in the local paper for dove hunts. We sold the hunts like hot cakes and the hunters were more than satisfied. It was more than satisfying for us to be able take out fellow sportsman to have an incredible hunt, share my passion for hunting, and make money all at the same time. The business seemed to take off from there. I have since graduated from Texas Tech and now put most of my time into my outfitting business and the outdoors. We have continued to grow exponentially in every direction. We now offer many different types of hunts all over Texas and soon expanding to Kansas. Our dedication to our clients and the landowners we work with has been the key to our success. Thank you for taking the time to look at our hunting opportunities and I look forward to hunting with you and your group in the near future.